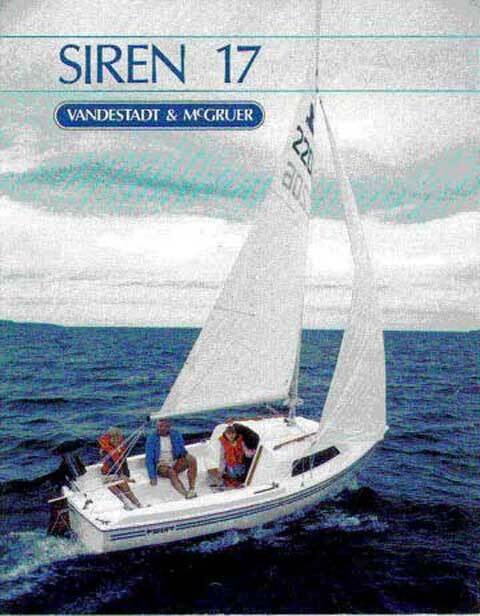 This Vanderstadt and McGruder Siren Sailboat is the perfect compact fiberglass sailboat for weekend cruises as well as day sailing. 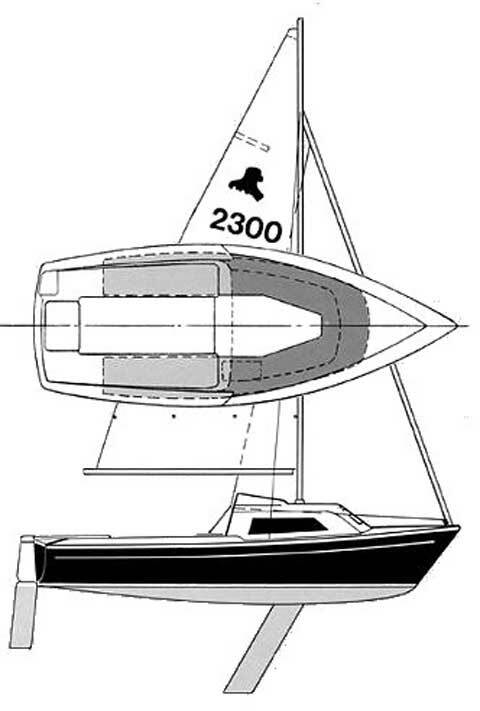 A lively performer in even light winds, these boats hold their value. Her mast is a breeze to step and take down. The Siren 17 has a cuddy cabin with table and storage that can sleep two and a large cockpit that easily holds four people. With a displacement of only 750 pounds, launching, hauling out, and towing this boat is very easy with most any vehicle. 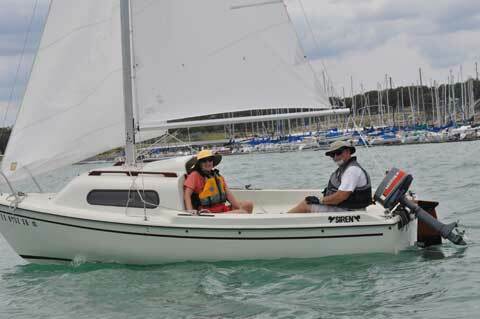 When not under sail the 4 HP motor moves the boat well. Filled with foam floatation and self-righting when centerboard is locked down. 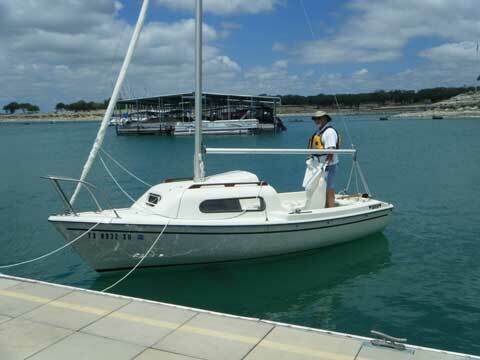 THIS BOAT HAS NEVER BEEN IN SALT WATER and HAS ALWAYS BEEN GARAGED, and so is in great shape. Sail Area: 145 sq. ft.
1 Main and 1 roller-furling genoa. Both sails are in good shape with the main having been cleaned and re-resined this season by Sailcare. 1983 McClain Galvanized trailer with NEW bearings, wheels, tires, winch strap and bunk boards/carpet. 1984 4 hp Mariner outboard motor with internal gas tank. New water pump, starts and runs great, looks almost new. Galvanized anchor, chain, and rode. Running lights and boom vang. All Texas titles and paperwork in hand and in order. This boat is in good condition, and ready to sail.